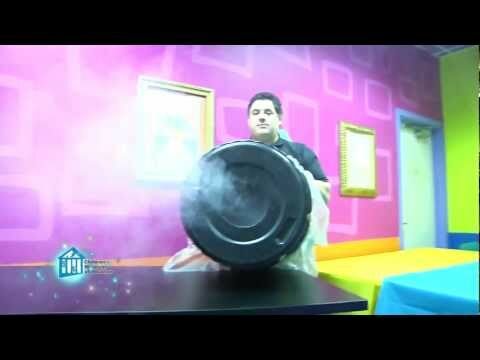 We’re taking the idea of knocking over milk bottles with a ball on its head in this O Wow Moment episode from the Children’s Museum of Houston! We build ourselves a torus cannon – it is an air cannon that shoots blasts of air and forms rings of air. The air rings are called a torus (hence, “torus cannon). Don’t believe they are air rings? Well, I’ll prove it to you in this video. And a special thanks to our friends at Regions Bank for sponsoring O Wow Moments with Mr. O!